INDIANAPOLIS (CNS) — At a time when an estimated 50 percent of Catholics 30 and younger no longer identify with their religion, the U.S. bishops June 14 discussed the need to reverse that trend and why the consultation process for the October 2018 Synod of Bishops on youth and vocations is crucial to that effort. 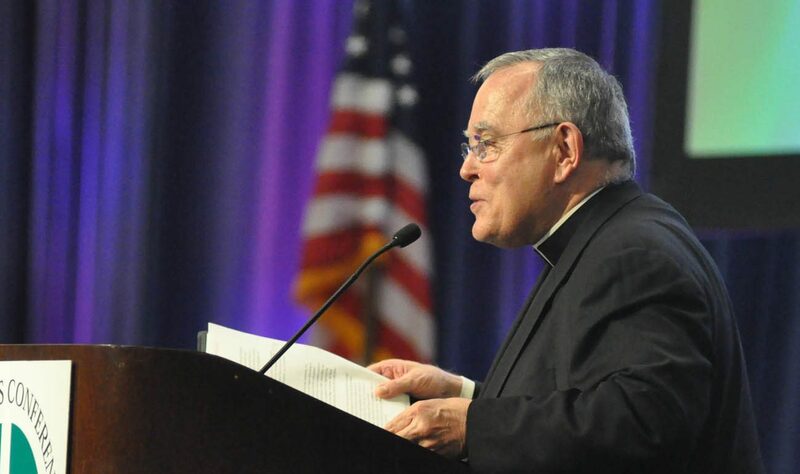 On the first day of the bishops’ spring meeting in Indianapolis, Cardinal Joseph W. Tobin of Newark, New Jersey, and Archbishop Charles J. Chaput of Philadelphia opened the discussion with a presentation on the consultations and questions for the bishops to consider in preparing for the synod. — How can bishops most effectively accompany youth and young adults in their baptismal call to missionary discipleship and in their vocational discernment — whether marriage, ordained ministry or consecrated life? — How is The U.S. Catholic Church listening to youth and young adults, and what are the best practices in the ministry of accompaniment that are worth sharing with the universal church at the synod? The number of bishops who wanted to respond publicly went beyond the allotted time in the morning session and continued into the afternoon session. 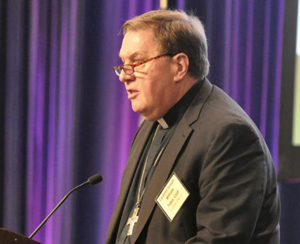 Archbishop Joseph E. Kurtz of Louisville, Kentucky, encouraged his fellow bishops to “buy in” to listening to young people. That approach was also emphasized — and extended — Auxiliary Bishop Fernand J. Cheri III of New Orleans. Archbishop Joseph F. Naumann of Kansas City, Kansas, shared some of the challenges of young adults that he has learned from conversations he has had with them. As part of their increased efforts to connect the Catholic faith to young people, bishops also should keep in mind — and reach out to — members of this generation whose lives are affected by racism, immigration and incarceration, said Bishop Jaime Soto of Sacramento, California. “The topics of the synod are very relevant to many of the youths who find themselves in the uncertainty of their own immigration status or that of their parents or family members — and who are looking for hope,” Bishop Soto said. Auxiliary Bishop Robert E. Barron of Los Angeles shared his insights from his knowledge of a significant part of this young age group, a segment known as “nones” — because they don’t identify with any particular religion. Cavadini stressed that by virtue of baptism people are called to something deeper in their lives — a connection to Christ, the Eucharist and the Catholic Church. “The discussion of vocation and of the baptismal vocation is incomplete, misleading and ultimately impossible the more distant it becomes from a proper sense of the mystery of the church into which baptism indelibly fixes us,” he said. “To be a baptized Christian means to be awesomely aware of this mystery in one’s own person and thus to find oneself called further. Whatever ANYONE does (or tries to do), the PARENTS of our young have to be reached. More occasions of Baptisms during Mass would mean that more people would hear them being called the first teachers of their children.